Social justice warriors have infiltrated universities to a sickening degree, they have used their toxic liberal hate mongering to pressure cities into removing American history from parks and monuments across the country, and now they are going after a simple slogan: "The World Needs More Cowboys." That's it. That is what University of Wyoming staff are claiming is sexist. The liberal narrative is that all white men are evil and to have a slogan that says there should be more of them is not acceptable. The marketing campaign flier for the University of Wyoming said the slogan was designed to be "inclusive, by design." The slogan designers say the idea behind the proposed slogan is that everyone can be accepted as a cowboy, from every corner of the world or any color of skin. "This is not a campaign to reinforce regressive stereotypes of Cowboys from the pop-cultural past," the flier said. "This is a campaign to rewrite them." An associate professor at the university named Christine Porter said that the word "cowboy" makes "almost everybody" picture a white, heterosexual male and those are evil! 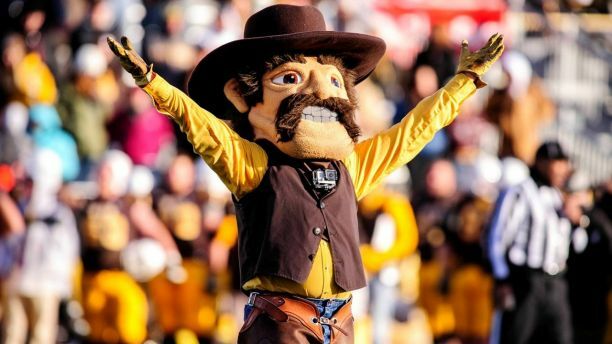 To be fair, the universities mascot IS a white male cowboy, but that is beside the point. The people behind the slogan want to change the meaning of the word to include anyone that resembles the values of a cowboy no matter your race or heritage. Porter says using the term would be unacceptable" because the word "boy" is in the slogan which excludes anyone who identifies as a woman. The ironic thing is that social justice warriors don't use sound logic and will change their argument to fit their agenda. For example, the Boyscouts was recently forced to change, and it now allows girls and any other sexes into its formerly male-only program. After all, it's not enough that there is a Girlscouts program but woman are equal therefore they can do everything the boys can do so they must be allowed to join the Boyscouts, which by the way they have no problem with the name and joining the group there with the word "boy" in it. And by the way, because SJW's forced their agenda into the Boy scouts, the organization has been forced to change its policy to REQUIRE condoms at all Boy scouts facilities and events.